Photo of Evelyn DeBadts and interviewer Jim Hopkins. Photo courtesy of Sandi Hamilton who also conducted the interview in September 2018. 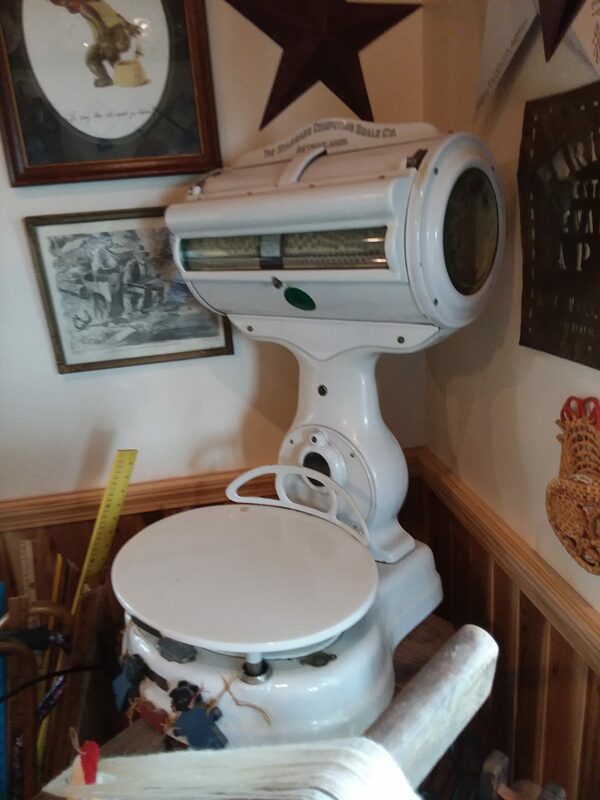 The scales are from Catlin’s Meat Market that used to be on West Main Street where the flower shop is now located. Photo courtesy of Sandi Hamilton. 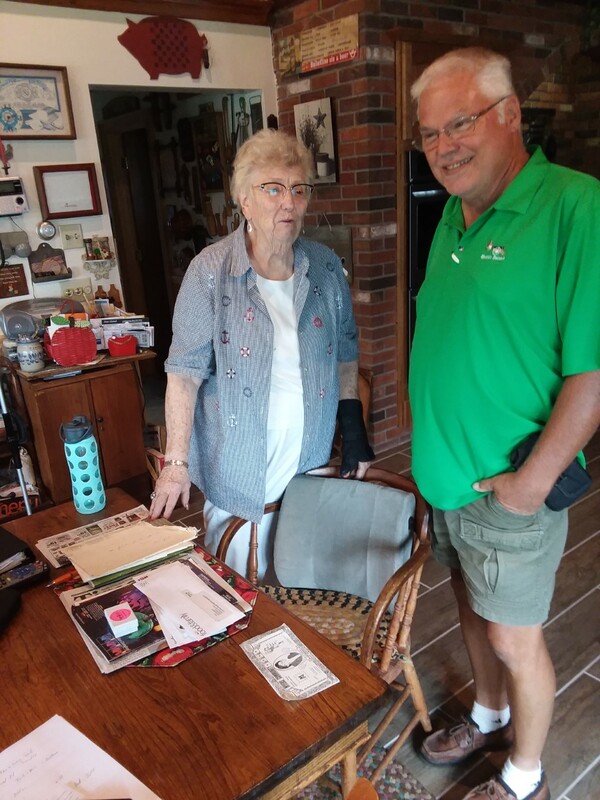 In this interview, Evelyn talks about school life in the Alton school, working at the Normandy Inn, Tack family stories, the Wallington Cobblestone School, Lake Breeze Fruit Farm and family ghost stories.